With today's post I am back to blogging. I intend to keep writing on a regular basis. In the last couple of months, North Korea tested a nuclear bomb and launched a slew of missiles that has rattled global capitals. Alarm bells have gone off in Seoul, Tokyo, Washington, and Beijing. Some of the North Korean missiles flew above North Japan while a couple of them landed within 200 miles off the Japanese coast. North Korea has even threatened to attack Guam, an overseas military base of the United States in the Pacific Ocean. 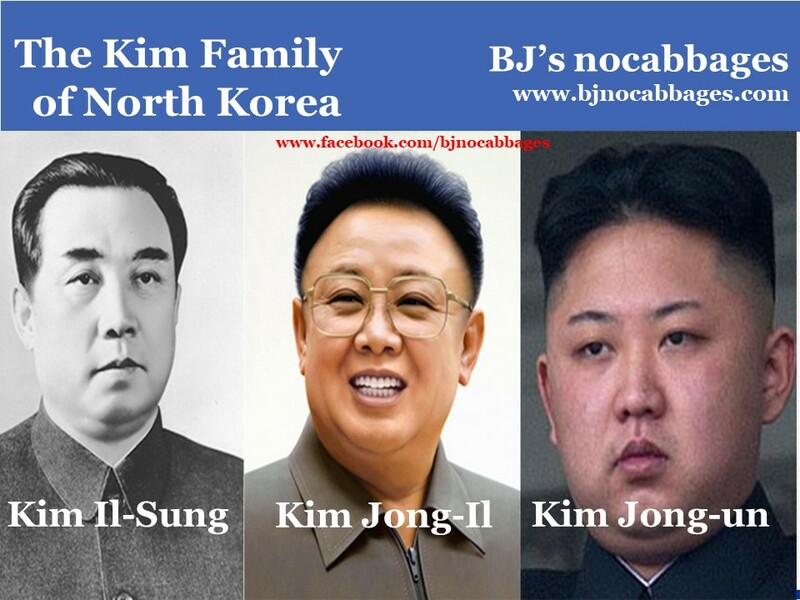 This short piece will focus on the Kim Family that rules North Korea like a family enterprise. A great deal of secrecy shrouds the political regime in North Korea; little or no information flows out of the country – this is perhaps the precise reason for Pyongyang’s actions being so scary. Before we explore the past and the present, let me share a short note on the Kim family that controls North Korea like a family fiefdom. As is the case with Orwellian States, there is very little information available in the public space about the Kim family. This should be seen in the light of the fact that all information and propaganda flow in an Orwellian State, especially of the communist type, is tightly controlled by the rulers. Kim Il–sung, officially titled ‘The Great Leader’, ruled North Korea since the Korean peninsula was split in half by the Korean War (1950–53), till his death in 1994. He laid the foundation of the dictatorship of the Kim family, shaped the communist polity within the country (especially the ‘Juche’ philosophy; ‘Juche’ means self-reliance) while his outlook on the world became the country’s foreign policy. Upon his death in 1994, Kim Il–sung was succeeded by his chosen heir, Kim Jong–il, officially called ‘The Dear Leader’. The son consolidated the military apparatus through his ‘military first’ policy and accelerated the pace of the country’s chemical, biological and nuclear weapons and missile development programme. During his regime, millions of his countrymen died due to starvation even as he spent considerable resources on building a formidable nuclear weapons and missile arsenal. He died in 2011. Kim Il–sung and Kim Jong–il are together called ‘Eternal Leaders of the Juche Korea’. Kim Jong–il was succeeded by his son, Kim Jong–un. The world saw hope for a time – the fact that Kim Jong–un was educated in the west, exposed to the ideas of democracy and individual freedoms – could turn to be positively different, that he would give up his country’s antagonistic foreign policy (especially against South Korea, Japan and the U.S.), roll back the weapons programme, including the nuclear weapons programme, and usher in greater freedoms in his country. As events turned out, all hope crashed after Kim Jong–un revved up the development of nukes and intercontinental ballistic missiles (which could reach the U.S. west coast). Kim has proved to be a hard nut to crack; even China, which traditionally has been the only major ally of Pyongyang, is unable to moderate Kim’s behaviour. Today, North Korea is widely seen as an international pariah, a view that contrasts sharply with the global perception of the democratic South as a technologically and economically advanced nation. Labels: China, Communism, Far East, History, The Explainer, U.S.